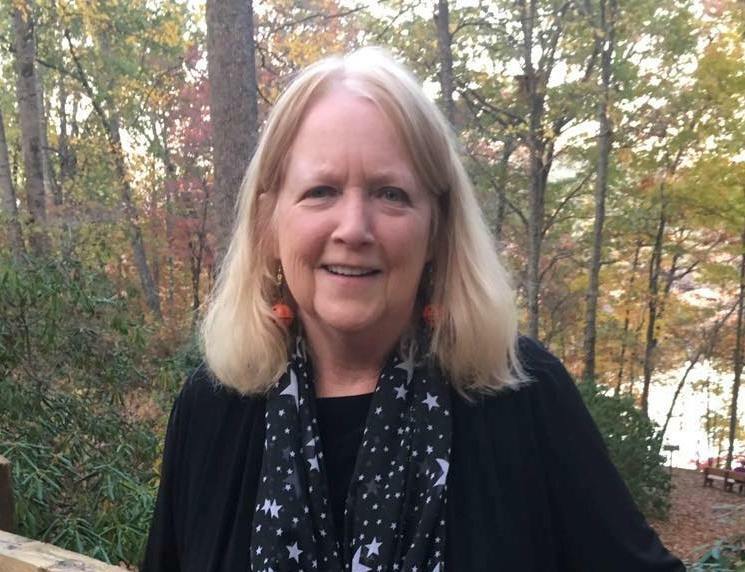 We will celebrate in Hayesville, NC at the Moss Memorial Library with award-winning poet, Brenda Kay Ledford reading from her new book, Red Plank House. A seventh-generational native of Clay County, Ledford grew up in a red-plank house eating apple butter, wearing homemade clothes, playing hopscotch, and singing shape-note music in country churches. Later she took piano lessons and played hymns for worship services. Ledford was an honor graduate of Hayesville High School. She rode a bus over the winding dirt roads. It was a long route and she observed the mountains changing colors with seasons. That’s when she grew to appreciate the beauty of our region. Her favorite teachers were Leslie Carter, media specialist, and Josephine Thurman, senior-year English instructor. Both educators instilled within Ledford the magic of books. After Ledford was graduated from HHS, she worked as a clerk-typist with the FBI in Washington, DC. It was cultural shock. 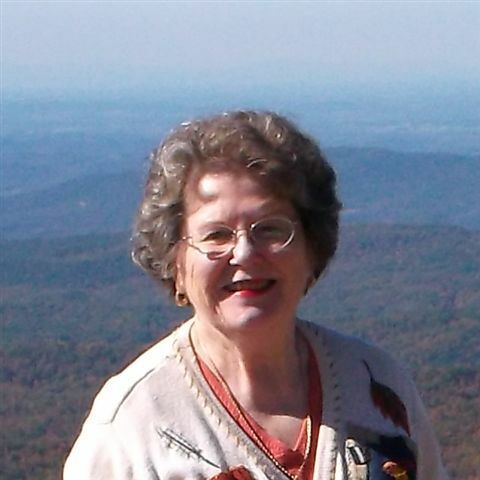 Ledford returned to her beloved roots in the Blue Ridge Mountains. She worked as a secretary at Hinton Rural Life Center. She also taught Sunday school and directed Bible School. Ledford loved children and wanted to become an educator. She earned a MA in Early Childhood Education from Western Carolina University and taught the fourth grade at Murphy Elementary School. While she was teaching, Ledford’s father got Hodgkin’s disease. She obtained an emergency medical technician certification to help care for him. She worked in the emergency room at Towns County Hospital part-time and with the Clay County EMS. Ledford also took a Creative Writing class at Tri-County Community College under Nancy Simpson to renew her teacher’s license. Nancy was her mentor and encouraged Ledford to submit her work for publication. 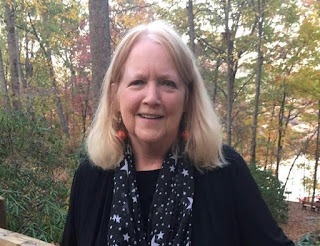 Her poetry has appeared in Pembroke Magazine, Asheville Poetry Review, Our State, Angels on Earth, Chicken Soup for the Soul, 39 Old Mountain Press anthologies, and many other journals. Ledford’s latest poetry book, Red Plank House, was released by Kelsay Books, available at Amazon.com. Ledford is presently working on a collection of poetry for children. Many poems are about her great-niece, Reagan Blanche. Ledford’s favorite pastime is reading to her little niece and viewing the world through the joyful eyes of kids. Each month Coffee with the Poets and Writers meets at the library on the third Wednesday of the month, 10:30 AM. 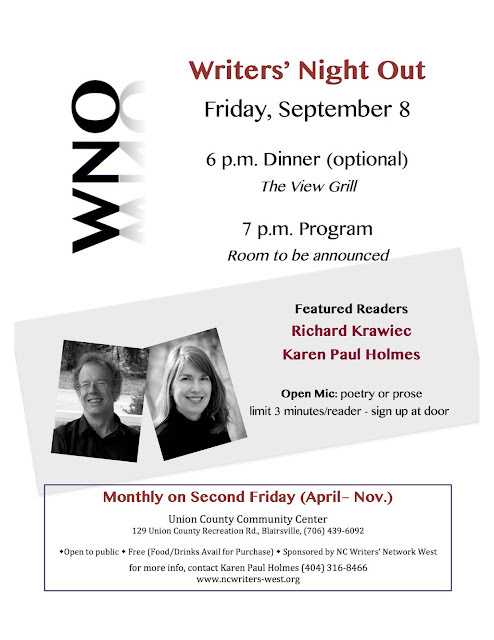 We feature a member of NCWN-West, sponsoring organization, and we hold Open Mic to allow our guests to read an original poem or two. This month we will celebrate two poets who were special to us in this region, the late Nancy Simpson and Kathryn Stripling Byer. Everyone is invited to bring a poem by one of them to read at open mic along with an original poem. Charles really tempted me with this news. Free Biscuits? I would walk a mile for free biscuits, but, alas, I can't go to Spring Conference even for free biscuits. I would love to, but can't make the long trip anymore. I hope you can. Look at what is available for writers in Greensboro, NC on April 27!! If you've already registered for Spring Conference, thank you! If not, please consider joining us for a full day of sessions and programs on the craft and business of writing. The NCWN 2019 Spring Conference happens Saturday, April 27, on the campus of the University of North Carolina at Greensboro. Pre-registration is open at www.ncwriters.org. * The annual Slush Pile Live! Did we mention FREE BISCUITS FROM BISCUITVILLE? Have a good weekend--see you April 27 in Greensboro! Carroll Taylor and Glenda Beall will be presenting a program for Mountain Writers in Waynesville, NC at noon on Tuesday, March 12, at Panacea Coffee House and Café on Commerce Street. 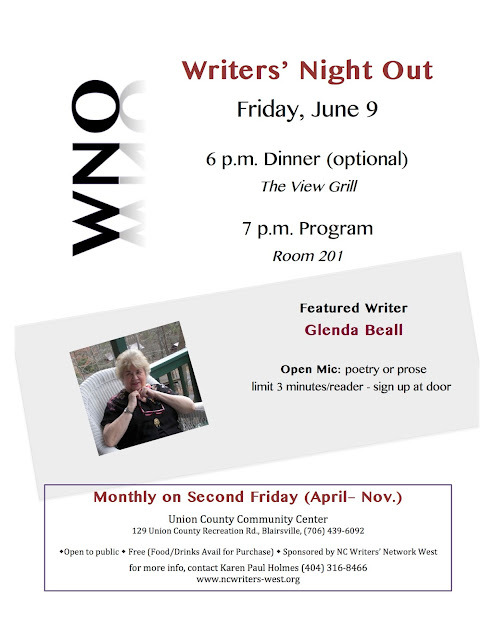 Glenda Beall is program coordinator for the NC Writers’ Network – West, the mountain program of the state organization, NCWN. 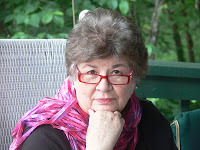 Her poems, fiction and creative nonfiction have been published in journals, magazines and reviews since 1996. 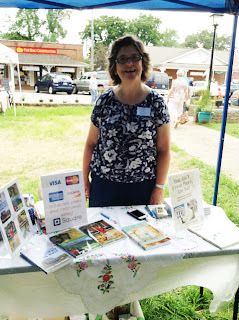 Recently she and her co-author, Estelle Rice of Marble, NC published a collection of stories, poems and color photos in a book titled, Paws, Claws, Hooves, Feathers and Fins; Family Pets and God’s Other Creatures. 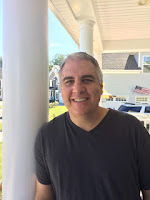 Beall is the owner/director of Writers Circle around the Table, a writing studio in Hayesville, NC where instructors from Asheville to Atlanta teach workshops in the spring, summer and fall. She will discuss her experience of co-writing and self-publishing as well as successful marketing. Carroll Taylor grew up on a dirt road in rural West Central Georgia. A graduate of Tift College (Mercer University), she holds graduate degrees in French, English, and Educational Leadership. She retired after teaching over forty years. She is the author of two young adult novels, Chinaberry Summer and Chinaberry Summer: On the Other Side. Her books emphasize generational storytelling and her love for reptiles and amphibians. 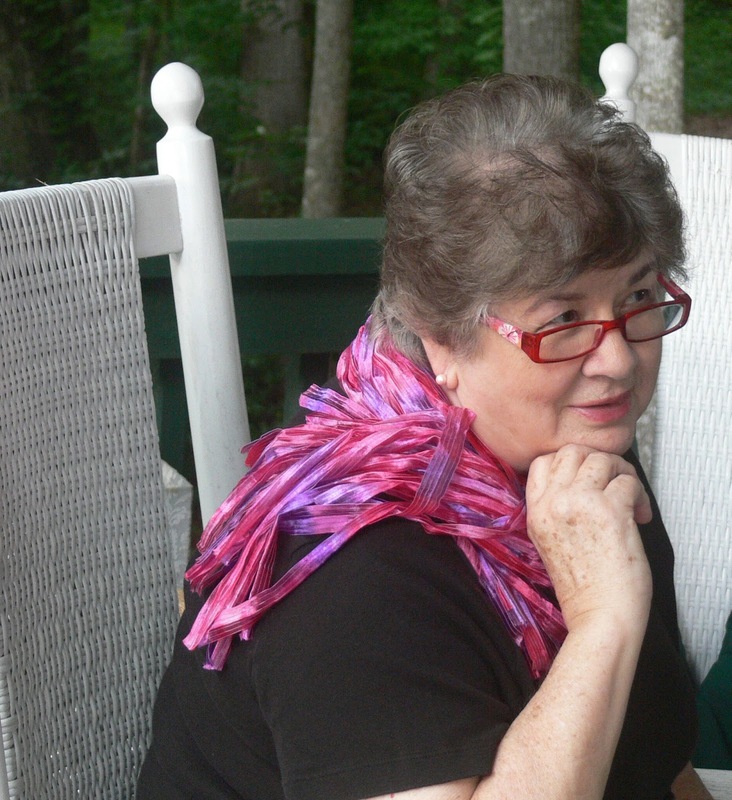 She and her husband retired to Hiawassee, Georgia, and she’s always looking for adventures, whether it’s standing on Prime Meridian, studying in Oxford, watching alligators in the Okefenokee Swamp, or taking pictures of flowers and critters. 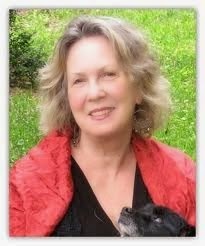 She is a member of North Carolina Writers’ Network, North Carolina Writers’ Network-West, and the Georgia Poetry Society. She recently won an award in the Georgia Poetry Society contest. Readers may find her journal blog at www.chinaberrysummer.com and follow her at facebook/chinaberrysummer. Contact Charley Pearson, charley.pearson@gmail.com for more information. A decade ago I met Ron Hill who was a writing student in my class at EAGLE, an adult education program at a church in Sautee Nacoochee, GA. I enjoyed Ron’s stories about his interesting life. I learned that he was from my region of North Carolina and served as Director of the John C. Campbell Folk School many years ago. We have kept in touch by email all these years. Today I received the following. A Quilt of Valor was presented to retired Captain/Sergeant Major Ron Hill of Sautee Nacoochee, GA on October 11, 2018. The presentation was made by Karen Trombley and Terry Wright, Georgia Quilts of Valor volunteer members. In addition to the presentation, Trombley and Wright told the audience of the Northeast Georgia Veterans Society about the mission of the Quilts of Valor organization which is "to cover service members and veterans touched by war with comforting and healing Quilts of Valor." They continued by relating the meaning behind the three layers that are used to construct a quilt. "The top of the quilt with its many colors, shapes, and fabrics, represents the communities and the many individuals we are. The batting, the filler, is the center of the quilt, its warmth. It represents our hope that this quilt will bring warmth, comfort, peace, and healing to the individual who receives it. The backing is the strength that supports the other layers. It represents the strength of the recipient, the support of his or her family, our communities, and our nation. Each stitch that holds the layers together represents love, gratitude, and sometimes the tears of the maker." The presentation concluded with a short biography of Ron’s service in the United States Army, which included his service in the Korean War 1953-54, Vietnam War 1969-70 and Desert Storm 1991. Karen and Terry displayed the quilt during the presentation and then awarded the quilt to Ron. 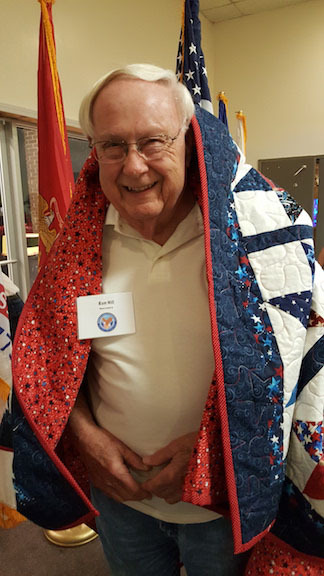 As the quilt was draped over his shoulders, Ron’s smile made all of our efforts worthwhile. We could tell that he was very pleased with the award and understood its meaning. Every stitch in this quilt was made with thanks to Ron for his service to our country. Don't wait until the last minute to register for a class. If we don't have a minimum five days before the start of the class, we cancel the workshop. When: Saturday, March 24, noon until 4:00 PM. 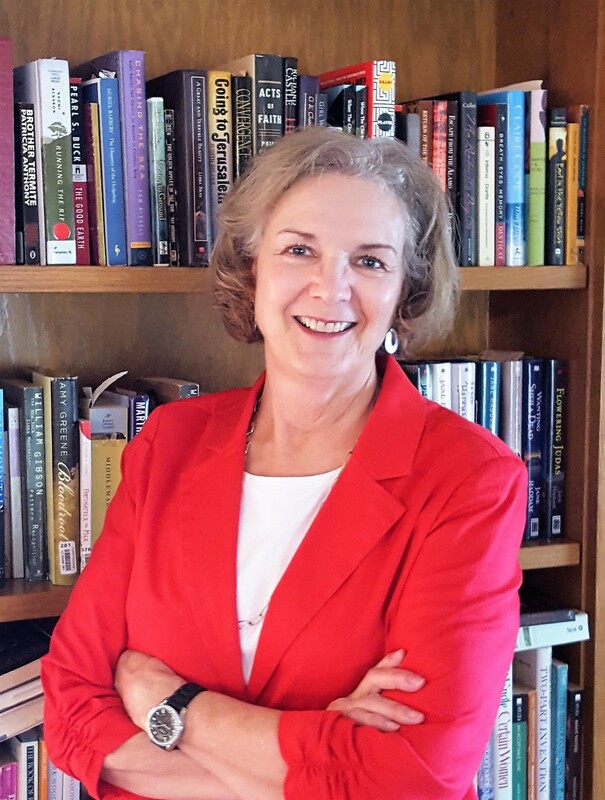 Ten or more authors, members of NCWN-West, will be on hand to sign books, to talk with the public about publishing and marketing, and to give tips and advice based on their own experiences in the literary world. Participating authors are eligible for drawing for one year's paid dues to North Carolina Writers' Network. 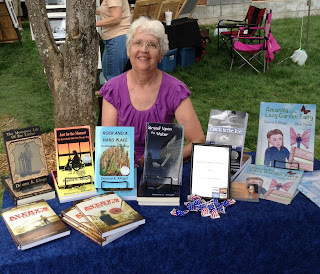 Drawings for door prizes will be held throughout the afternoon including a free writing class at Writers Circle around the Table in Hayesville, NC and free editing by Carol Crawford of up to thirty pages of your writing. Deanna K. Klingel: author of books for young and young-at-heart readers. Deanna’s first published book, Just for the Moment: The Remarkable Gift of the Therapy Dog, 2010, was inspired by her own golden retriever therapy dogs and is a collection of moments that the dogs made a difference in other people’s lives. 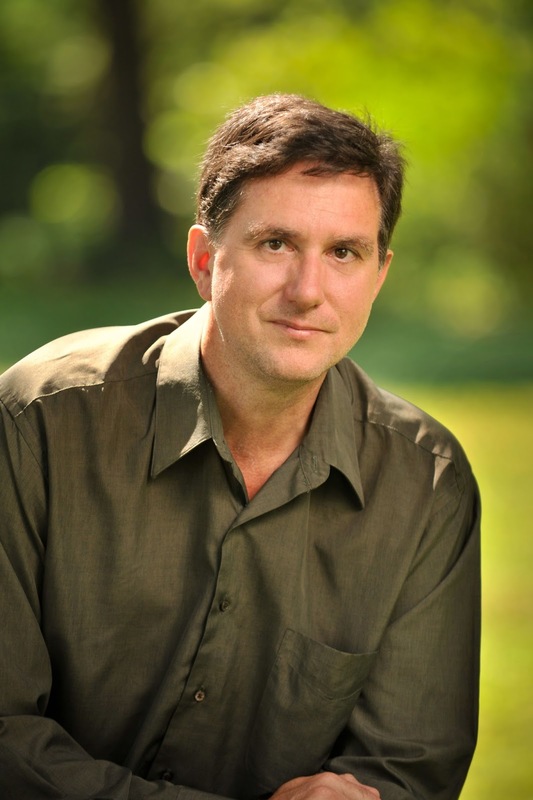 Tom Davis: A writer, publisher of the Old Mountain Press, and 30 year military veteran. Tom’s memoir covers it all!.The Most Fun I Ever Had with My Clothes On. Lisa Turner: Newspaper columnist and author of House Keys: Tips & Tricks from a Female Home Inspector. This book won Writers' Digest award for best self-published eBook. Contact Glenda Beall, glendabeall@msn.com with any questions or for more information. Breath and Shadow Winter Issue is up. A few years ago I discovered a journal specifically for people with disabilities. I mean the writers of the articles have some disability. Disabilities run the gamut of health problems. I found I qualified to write for this publication because I have fibromyalgia, a physically limiting issue. I was honored they accepted my work. I know of other writers who have contributed and the work in this journal is excellent. You can read more about it on Twitter, Facebook or here To learn about resources for people with disabilities, scroll down the blog and find articles that are helpful. If you have submitted your work to Breath and Shadow or if you have read it, please leave a comment and tell us your thoughts. I am including an email I received from the editor in chief of Breath and Shadow, Chris Kuell. If you can, please consider a tax-deductible donation to this organization. short fiction by Scott MacAulay,Lyn G. Farrell, and Tara Calaby. Finally, more must-read works in our ‘New On The Bookshelf’ section. have a new book coming out—please let us know. paperback and all e-book formats at your favorite online bookseller. Assistant Editors: Abby Astor, Dorothy Baker, Todd Hanks and Anne Chiapetta. your support to achieve our mission, and your gift is tax deductible. Richard will also teach at Writers Circle in Hayesville the next day. 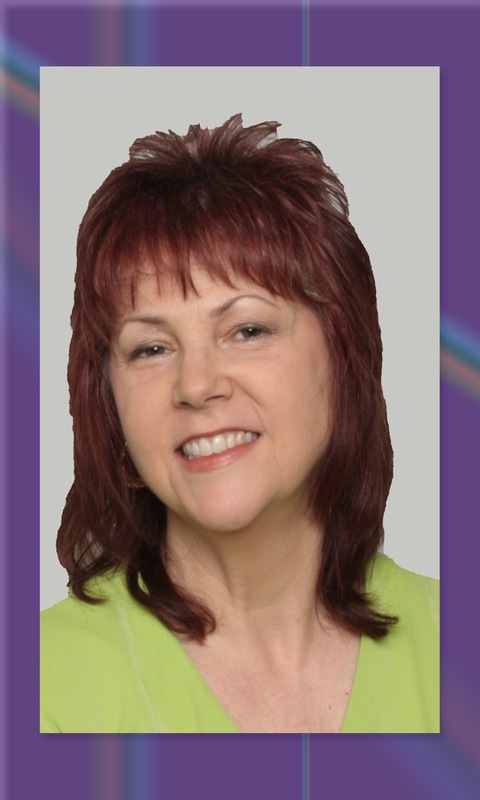 See Glenda Beall's Writers Circle Blog for more information. Glenda Beall, Program Coordinator for NCWN West and writing instructor, will teach a writing course at the Institute of Continuing Learning at Young Harris College, Young Harris, GA. She has been teaching memoir writing for ten years at John C. Campbell Folk School, Tri-County Community College or at ICL. She also teaches at her studio, Writers Circle around the Table, in Hayesville, NC. Call her with any questions about classes at 828-389-4441. Registration for the ICL class closes Friday morning, July 7. Entertain and Enlighten your Readers with your Life Stories. How do we begin to write about our lives? Can we use dialogue, stories passed down from parents, and do we have to prove they are true? In today’s world where family members often live long distances from each other, it is difficult to share the interesting lives we have lived. There seems to be no time to sit on the porch and talk about the past. But we can still share our life experiences with our children, grandchildren and future generations by writing them now. In this class we will write entertaining as well as enlightening short pieces or memoir chapters and receive feedback from our classmates. Click Here for registration information and contact phone number. Join us for this dynamic duo on Friday evening, September 11 at 7 p.m. The readings are free and open to the public. Sign up at the door for open mic, limited to 3 minutes per reader. Our weekend at the Festival on the Square was delightful except for the high temperatures on Saturday. Deanna Klingel and Miriam Bradley drove down to Hayesville from Sapphire and from Hendersonville, NC. Both write books for children but have non-fiction books for adults as well. See their websites for more of their books. We all promote reading for children and it was heart-warming to see the kids visit Deanna and Miriam with their parents and then come back later with cash in hand to purchase the mystery series books from Miriam’s table or the Avery books from Deanna. 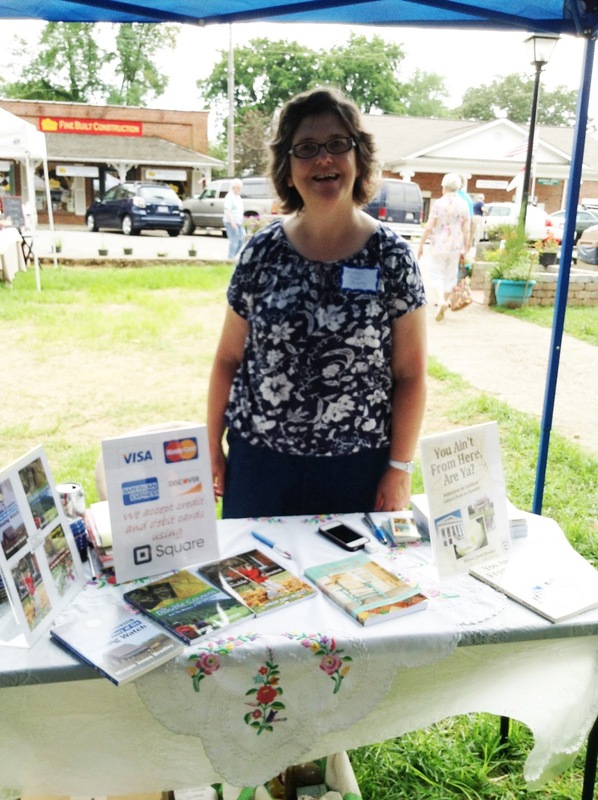 Our many volunteers this year made it possible to have a booth at the Festival on the Square sponsored by the Clay County Historical and Arts Council. Deanna and Joan Gage carried tables and chairs and boxes as we loaded up Rob’s truck on Friday afternoon and set up our tent. 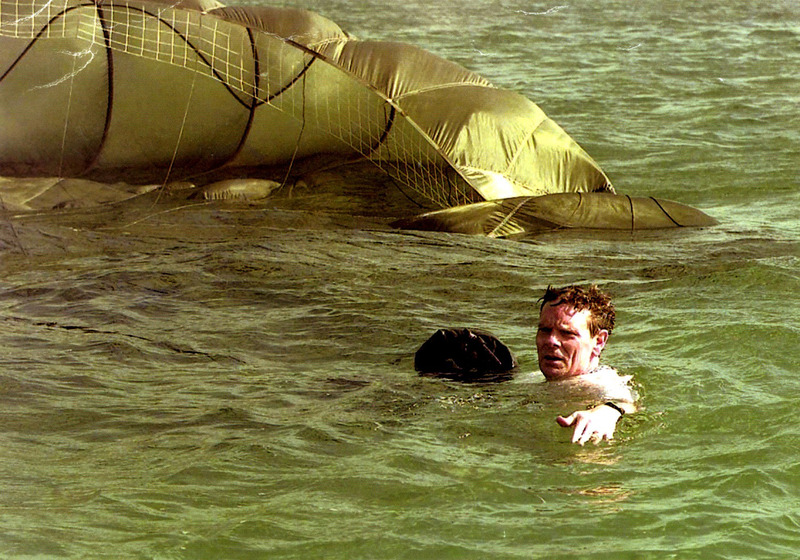 I counted on Joan all weekend to help me and to be there when I could not. She also presented her books of inspirational and motivating poetry for women. Water Running Down Hill, Empowering Your Inner Cheerleader and her most recent, A Redhead Looks at 60. Karen Holmes and Carole Thompson volunteered so that on Saturday and on Sunday we had someone at the main table to give out brochures, answer questions about NCWN and NCWN West, discuss writing with visitors and give them information about local literary events and places where they can receive instruction. Valeria Nieman visited with us Sunday afternoon with her new poetry book, Hotel Worthy and her very interesting novel, Blood Clay. We are always happy to see Val here in our neck of the woods. I want to thank Don and Marti Long for their help on Sunday afternoon. Although we were tired by Sunday afternoon, I had fun with my two guests, Deanna and Miriam at my house for the weekend. It is always great to see so many local friends at the festival on a typical summer weekend in a small mountain town in the beautiful western NC mountains. The 18 Notables in Jack Prather’s two books of biographies are exemplary North Carolina residents who made their marks anywhere in the state, nation or world. Each was selected after extensive research and recommendations from their peers; and for their record of giving back to the community. Each bio includes a photo-array that shows the Notable in various stages of her or his life. The in-depth personal and career life stories of these men and women from North Carolina portrayed by Jack J. Prather will be the focus of discussion during his upcoming statewide speaking and book-event tour. Six Notable Women of North Carolina (238-pages/81-photos) published in January was Prather’s sequel to Twelve Notables in Western North Carolina (400-pages/134-photos) that was nominated for the NC Literary & Historical Association 2012 Ragan Award for Non-Fiction. 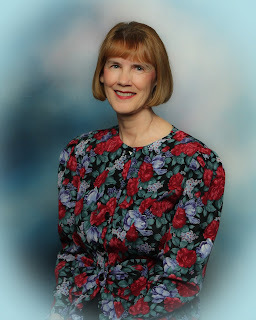 Prather’s books are available at Amazon.com, online book sites, and bookstores and libraries by request. The Hendersonville author founded the Young Writers Scholarship at Warren Wilson College in 2012 to honor the Notables in his books. He donates a portion of proceeds from sales to the fund, and asks fellow authors, writers and avid readers to lend their support. The next book in the ongoing series planned for 2016 will be Young Notables of North Carolina. Favorable reviews of Twelve Notables in Western North Carolina appeared in the NC Libraries Journal and the NC Genealogical Society Journal; and for Six Notable Women of North Carolina in NC Woman magazine and The Hendersonville Lightning. Information about scheduling an author appearance in your area can be obtained by calling 828-808-0660, or by emailing info@futurenowpublishing.com. Testimonials about the Notable series have come from TV icon Katie Couric, noted reviewer Rob Neufeld, writer and director of Writers Circle around the Table, Glenda Beall, music legend Doc Watson, former Governor Jim Hunt, former Secretary of State Elaine Marshall, former Supreme Court Chief Justice Jim Exum, biographer Bruce Chadwick, and educator Ron Partin, et al. Kathy Reichs of Charlotte: novelist and inspiration for the Bones TV series; certified forensic anthropologist. 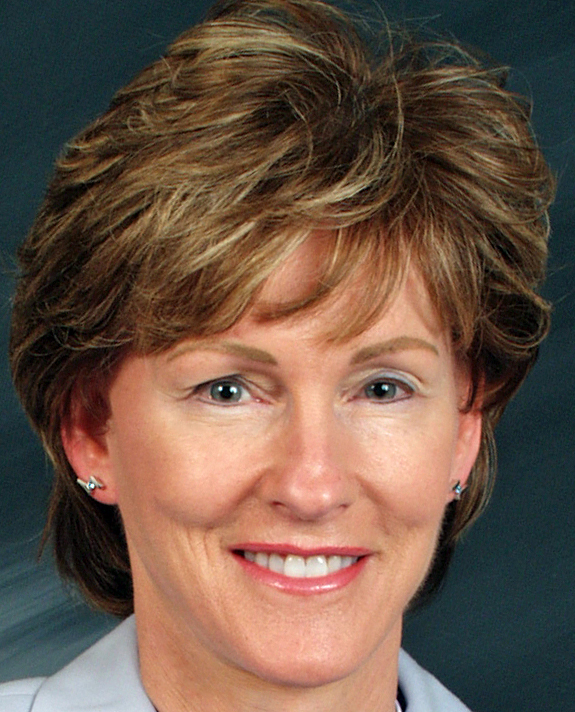 Sharon Decker of Rutherfordton: former Secretary of Commerce; first female Duke Power VP; founder of Tapestry Group. 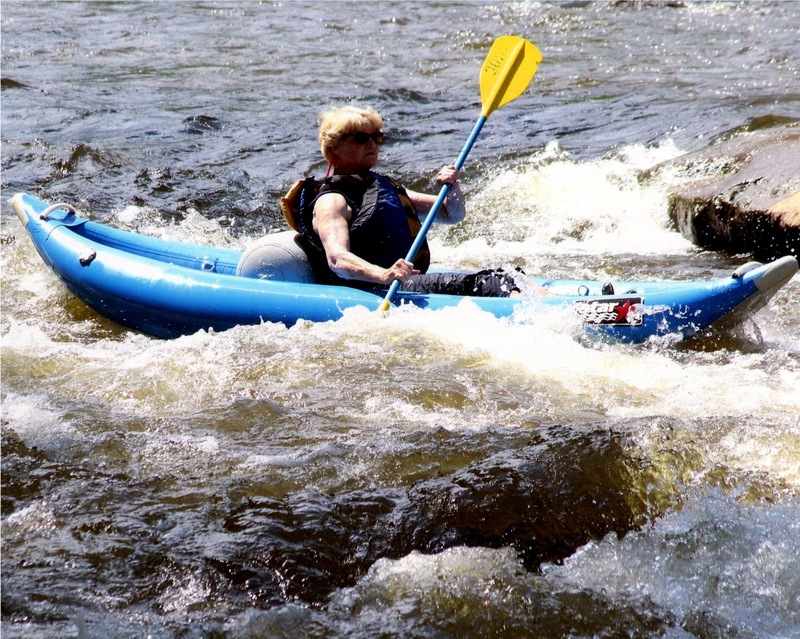 Jennifer Pharr Davis of Asheville: Appalachian Trail record hiker; National Geographic Adventurer of the Year. Millie Ravenel of Raleigh: Director Emerita Center for International Understanding; Friendship Force founder. 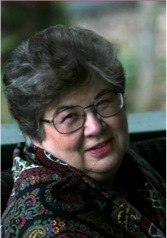 Kathryn Stripling Byer of Cullowhee: Poet Laureate 2005-9; Literary Hall of Fame; author of five poetry books. 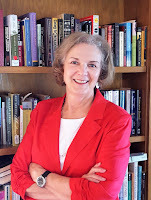 Anne Ponder of Asheville: Chancellor Emerita UNC Asheville; Collegiate Honors Council fellow and president. 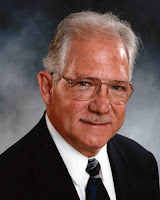 Judge Harry C. Martin of Biltmore Forest: former NC & Cherokee (EBCN) Supreme Court Justice. Rev.Dr. Dan Matthews of Waynesville: priest at Ground Zero on 9/11/01; owner of TheSwag Inn. David Holt of Fairview: Grammy winning musician; Doc Watson’s performing partner; storyteller. Billie Ruth Sudduth of Bakersville: first woman named NC Living Treasure, basket art in Smithsonian. Doug Orr of Black Mountain: president emeritus of Warren Wilson College, musician, singer, author. GlenisRedmond of Piedmont: Hall of Fame Performance Poet; Kennedy Center Teaching artist; author. Julyan Davis of Asheville: British Southern Art master oil painter; work shown in international galleries. Joe Epley of Tryon: global public relations leader; PRSA Lifetime Achievement Award winner; novelist. Dr. Olson Huff of Black Mountain: founding Medical Director of Mission Children’s Hospital; author. Dr. Matt Hayes of Hendersonville: emergency physician pioneer, co-founder Emergency Dept. of Nurses. Capt. Ray West, USNR-ret. of Flat Rock: Moldova World Children’s Fund founder; UNCA Alumnus of Year. Richard Q. Ritter of Bakersville: NC Living Treasure studio glass artist; Governor’s Award as Fire Chief. Recently, I had the opportunity to interview poet, Nancy Simpson, former Program Coordinator for the North Carolina Writers' Network West. Although I’ve known Nancy for thirteen years and always admired her, I had some questions about her writing and NCWN West. As you will see, her answers are most informative as well as candid. GB: Nancy, you have been a practicing poet for thirty years. What inspired you to be a poet? NS: As it happened, the N.C. Arts Council in Raleigh sent some poets to read at the Moss Memorial Library in Hayesville. I remember there was also a local poet on the program, Janice Townley Moore. Before that night I had only written rhyming poems. When I heard those poets read free verse poems, it changed my life forever. Something clicked. I remember thinking, Oh. That is what I have heard in my head all these years. I came to believe that poetry is a slanted way of seeing the world. When those quirky thoughts came, I started writing them down. That is how it began. I started studying free verse poetry immediately. I took classes with Dr. Steve Harvey, and I consider him my beloved teacher and mentor. I traveled far and wide to every writing workshop I could find. I went to hear every poet I could. I bought and listened to the great poets on tape. I could not get enough. Now, after all these years, I still can't get enough. Practicing, studying, and teaching poetry is my life. GB: You earned your MFA at Warren Wilson College. Was that before you became Program Coordinator for NCWN West? NS: I earned my M.F.A. in Writing in 1983. I began working with Marsha Warren, then Executive Director of the North Carolina Writers’ Network, to establish N.C.W.N. West in 1991. GB: Early in your writing career you published with the best journals such as the Georgia Review and Prairie Schooner. How often has the Georgia Review chosen your poems, and what other fine journals published your work? NS: I had three poems in The Georgia Review when Stan Lindberg was editor. I had five Poems in Prairie Schooner. 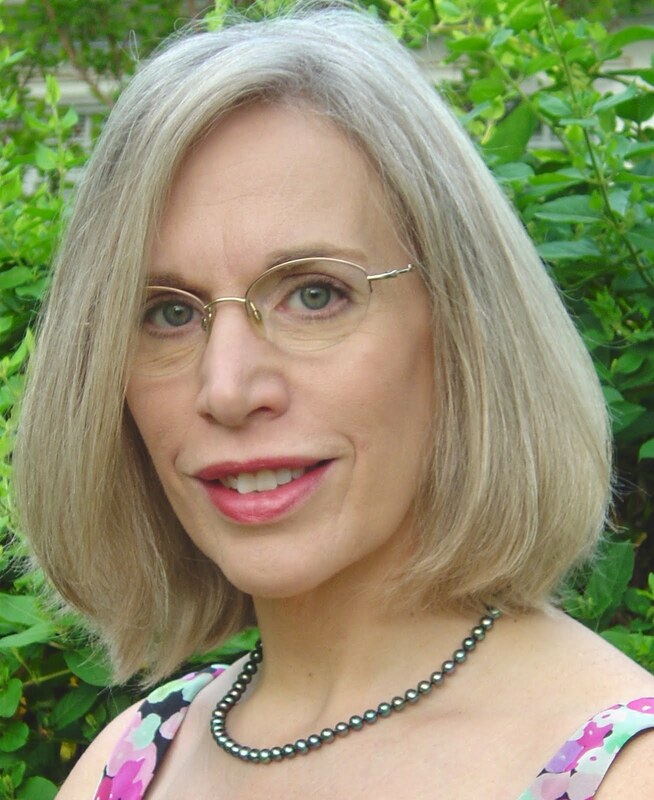 Other poems were published in four editions of Southern Poetry Review, and recently SPR chose to reprint "Grass" in their upcoming 50th Anniversary Issue. Some of my poems have been in Indiana Review, Florida Review, Seneca Review and New Virginia Review. I've also been pleased to have poems in Appalachian Journal, Appalachian Heritage and Journal of Kentucky Studies. 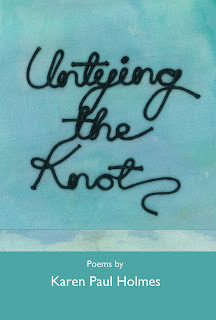 GB: I know several of your poems have been chosen for anthologies and reprinted in books. NS: I had poems reprinted in four editions of Anthology of Magazine Verse, Writers Choice, and Word and Wisdom - 100 Years of N.C. Poetry. My poem "Night Student" has been published and reprinted, upon request, nine times. It was recently included in Literary Trails of N.C. Seven poems were reprinted in the new anthology of Appalachian Poetry from McFarland Press.A new poem, "Carolina Blue Birds" is included in the anthology, The Poet's Guide to the Birds, forthcoming in 2008 from Anhinga Press. GB: You published Across Water, a poetry chapbook and a full length collection, Night Student. Tell how that came about. NS: The editor and publisher of State Street Press, Judith Kitchen, asked me if she could choose some of my poems for a chapbook manuscript. I had just met her in the M.F.A. Program at Warren Wilson College. I didn't know she owned a press. She chose and arranged the poems and published Across Water. Two years later Judith Kitchen asked to see my manuscript again. After reading it, she called and said she had the title -- Night Student--and that although State Street Press published only chapbooks, she intended to publish my full-length collection. I was fortunate. I was very happy. To me, it is amazing. As years passed, Judith Kitchen became a dear friend. The biggest honor is that she asked me to be her best woman at her marriage ceremony. 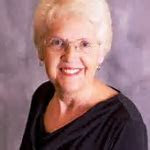 GB: You dedicated many years to the NCWN West and, as Program Coordinator, mentored writers here in the mountains. Many have gone on to publish their work. However you continued publishing your own poems in literary journals, and you edited Lights in the Mountains, the NCWN West anthology published in 2005. How did you find the time when you also held a full-time job as a public school teacher? NS: True. I taught in Clay County public schools for 26 years. After I earned my MFA, I taught 11th grade English and I taught English Composition part time at Tri County College. Later I switched to Continuing Ed so I could teach creative writing. At the same time, I co- founded N.C. Writers Network West and took on the job of Program Coordinator. I then was asked to serve as Resident Writer at John C. Campbell Folk School. At one time I was teaching full time and had three paying part-time writing related jobs. At the same time, I kept writing poems. I kept submitting them and getting them published. I do not know how I did it. It was not hard. Writing consumed my life. GB: In recent years you lost a sister and a son. How has your writing helped you deal with your grief? I know she was concerned that in my depressed state, I might ruin the manuscripts. I stopped and thought about it. I knew I was doing the right thing. Other than the life of my son, there was nothing that could keep my mind focused. There was nothing else that made me want to get out of bed in the morning. Your question is how has my writing helped me deal with grief? Practicing poetry at the most dreadful time sustained me. When my son came home to Hospice, I put my poems away. I did not need them because I had my son, and I had an important new job to learn - how to be his nurse. GB: As Writer in Residence at the John C. Campbell Folk School, you are in contact with writers and teachers all over the United States. What do you look for in choosing faculty for the Writing Program at JCCFS? 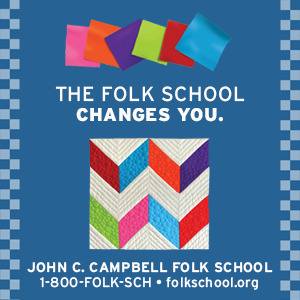 NS: In the John C. Campbell Folk School Writing Program, I look for a writer who has book publications or is widely published in good magazines. Second, I want someone who has teaching credentials, who has taught writing before or has teacher training somewhere in their background. Third, and most important, the instructors who come to teach at JCCFS must fit into the non competitive environment. We have "no hierarchy and no lowerarchy." The best teachers can sit in a circle with their students and teach them well. Lectures go over like a lead balloon at the folk school. We now have a lovely set up with classes held in the living room of Orchard House and in the new writing studio which is attached to Orchard House. I will not say the teaching style we want is casual. No. A week at the folk school is the most intense kind of learning. But, it is not similar in any way to college classroom and never shall be. We only have 18 writing classes a year now and the schedule is filled through 2009. Still, I am always on the look out for good writing instructors. GB: You have two new poetry manuscripts finished. Give us the names of each and tell us the themes of these works. Have any of the poems in these manuscripts already been published? NS: One is LIVING ABOVE THE FROST LINE. The other is INTO THE HEART OF THE GLACIER.The poems were written over many years. I took a NCWN Advanced Poetry Class with Kathryn Stripling Byer. What she read was one manuscript with 150 poems. Kay said it should be two different manuscripts, and she advised where to break them apart. I will always appreciate her direction. LIVING ABOVE THE FROST LINE, which was first titled Accounting, is written in the voice of a woman who lives alone on a remote mountain in Appalachia. Her concerns focus on specific values: Worth of Persons, Family and Concern for our planet. Nineteen of the poems have been published.INTO THE HEART OF THE GLACIER is also written with the same southern voice of a woman living alone on a mountain. Glacier is a love story, the ancient Eurydice story turned backward and set in our time. Twenty-two of the poems have been published. GB: On June 7, you will teach your first poetry workshop for NCWN West. You have taught at Tri-County Community College, John C. Campbell Folk School, and the Institute of Continuing Learning at Young Harris College. How did it happen that you never taught a class for NCWN West? NS: Thanks for inviting me. I can hardly wait to teach this Netwest Saturday Poetry workshop on June 7. To answer the question, I was the Program Coordinator and my main job was to help the representatives in each county get the kind of writing programs they wanted. At that time NCWN sponsored four Saturday workshops a year in the Netwest region. I was eager to teach, but it would not have been ethical to do so at the time I was on the NCWN payroll. I was busy editing and producing an anthology. Each county had character and ideas of its own. I worked hard at setting up critique groups, if that was what they wanted, or Saturday writing workshops. I was busy keeping two Netwest representatives in each county. It would not have been appropriate for me to teach a Netwest workshop. I am happy to say that over the years, NCWN invited me to be on their Fall Conference program three different times. NC Women Writers invited me twice to be on their program; once when held in Asheville, and later when held in Greensboro. You can see I stayed busy, but now, yes now, I can say I am a happy woman to be invited to teach a Saturday Poetry Workshop for NCWN West. GB: .What do you expect students to take away from this coming class, Advance Your Poetry? NS: ADVANCE YOUR POETRY is an all day workshop for practicing free verse poets. My goal is to focus on their poetry and their poetry writing process. We will talk about how they started writing poetry, where they are now in their writing career and what is their next step, and the next, and the next. I expect the students to take away direction and a folder marked in bold letters: MY POETRY CHAPBOOK COLLECTION. GB: Nancy, I’m delighted you took the time to answer my questions so our visitors on http://www.netwestwriters.blogspot.com/ can know more about you and about NCWN West. NS: Glenda, thank you for asking.